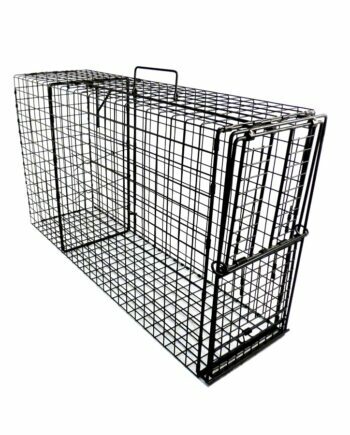 Model C59CHIM is a trap designed to capture raccoons living in chimneys, to be dropped into a chimney from the top, and completely hidden from sight. 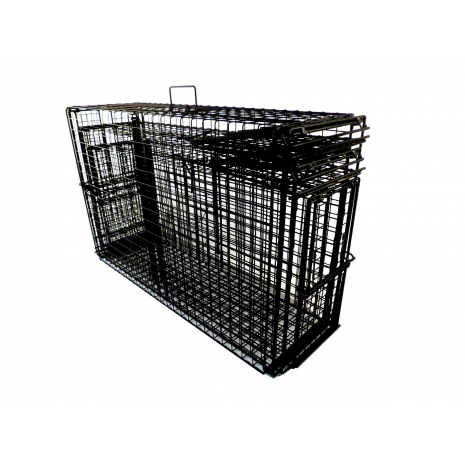 It consists of the trap, trap flap, trap flap chain, trap stop, and chimney top mesh screen. 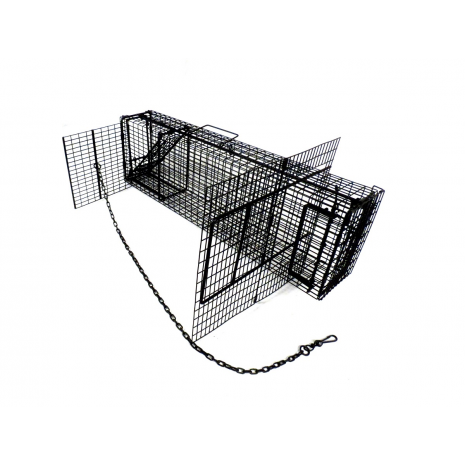 The trap stop allows you to drop the trap into the chimney at any depth you prefer, the chimney top mesh screen will rest under the trap stop to prevent raccoons from entering the chimney and avoiding the trap. 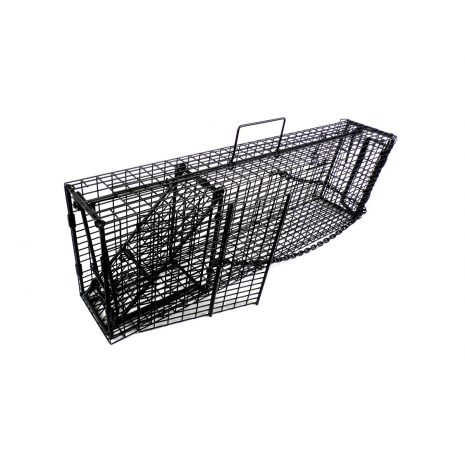 The trap flap will prevent raccoons from exiting the chimney and avoiding the trap. 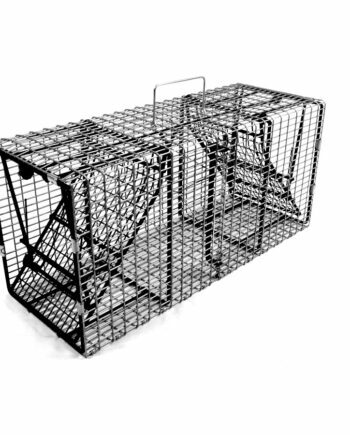 To save on shipping and space in transit, all the components fit nicely inside the trap until it is ready to be set. 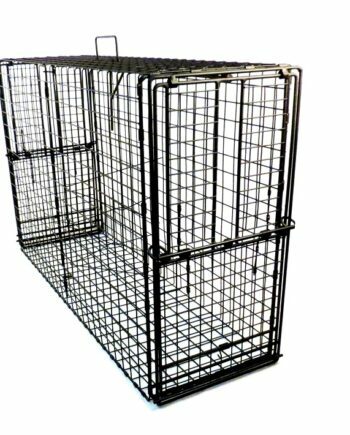 Once the trigger mechanism is set with the trap stop in place, the trap can be dropped into the chimney. 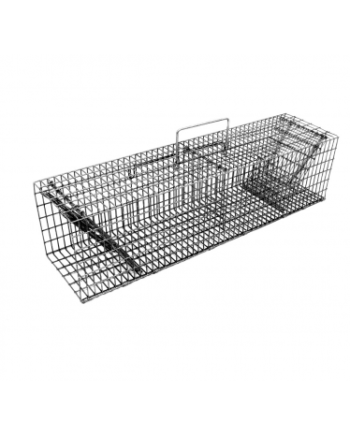 Made light in weight and compact to be carried up ladders, this trap at 30 inches long weighs only 9 lbs.. 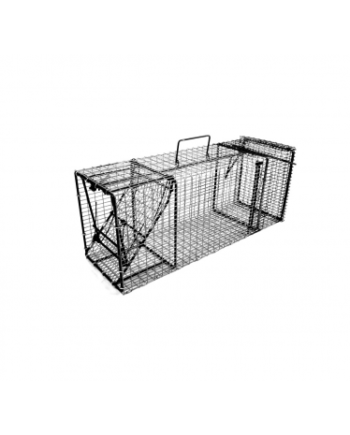 This trap features our Comstock powered door that closes from the outside in rather than inside out. 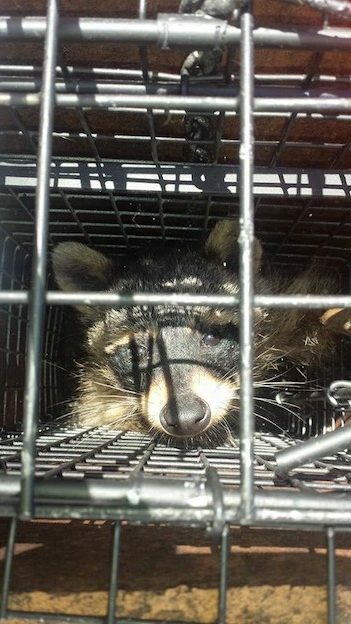 Our stable, patented trigger bar will withstand jarring, but when pulled by a raccoon, will fire easily. 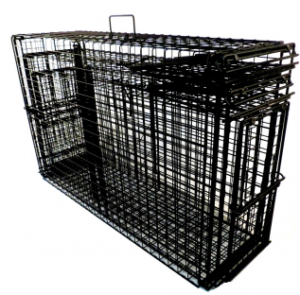 This trap measures 30L x 5W x 8H and is constructed of 1/2″ x 1″ wire mesh.